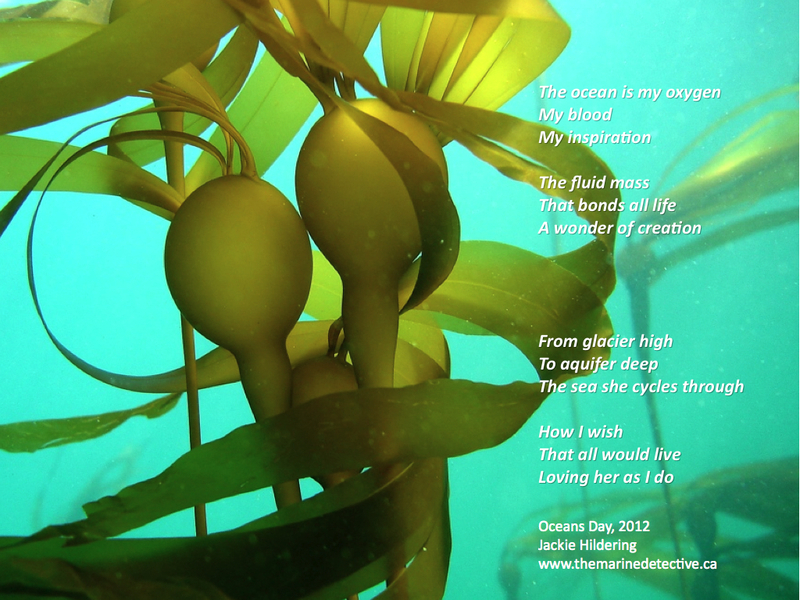 An Oceans Day reflection for you. If you can’t read the text, please click the image to enlarge. May we continue to work together to raise awareness about the great beauty and importance of our Ocean. For life on land cannot survive without the Ocean. The Ocean is the “circulatory, respiratory, and reproductive organs of our planet” (from “The Fate of the Ocean” by Julia Whitty). More than 70% of the oxygen in our atmosphere comes from it. The Ocean feeds us and regulates our climate by buffering the greenhouse gas carbon dioxide and absorbing 85% of the Earth’s heat. We depend on her for transportation, food, water, disposal, recreation, energy, oxygen, climate regulation and … inspiration. Happy, healthy Oceans Day to you. and happy oceans day to you!!! thank you for all you do for the sea! i love this poem and this photo!